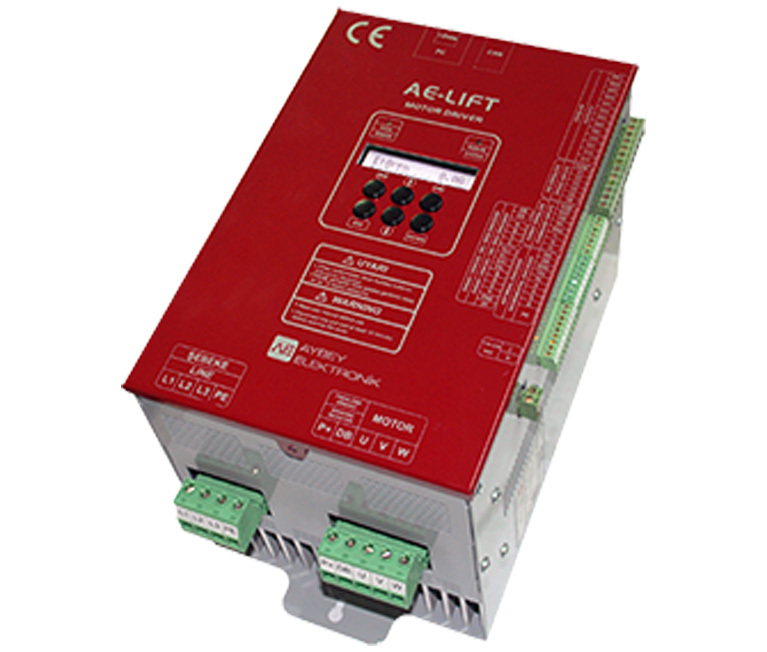 AE-Lift is a lift motor driver frequency inverter. It uses space vector control, has the ability of high floor level sensitivity and high comfort. Main controller DSP calculates all required calculations so fast than any microcontrollers. Standard terminal and functions for lift operations are predefined for control inputs and outputs. Brake coil and contactors are driven directly by device. All terminals are pluggable and placed out of the box. No need to open device box for any connection.